The Aurabox is an all-in-one Bluetooth speaker with a built-in microphone, LED lamp, digital creative pallete, a thermometer, a smart alarm clock, and a desktop notification system. Explore your imagination with the Aurabox: a smart, uplifting, creative, and innovative tech-gadget focused to keep you inspired by light and sound. Through the device you can stay in touch with social media while listening to your favorite tunes in exceptional high quality. Aurabox comes with an app so you can rock out to your own designs with the brilliant LED lights to set the atmosphere. Bluetooth capability up to 33 feet. Interactive app allows users to control led display. 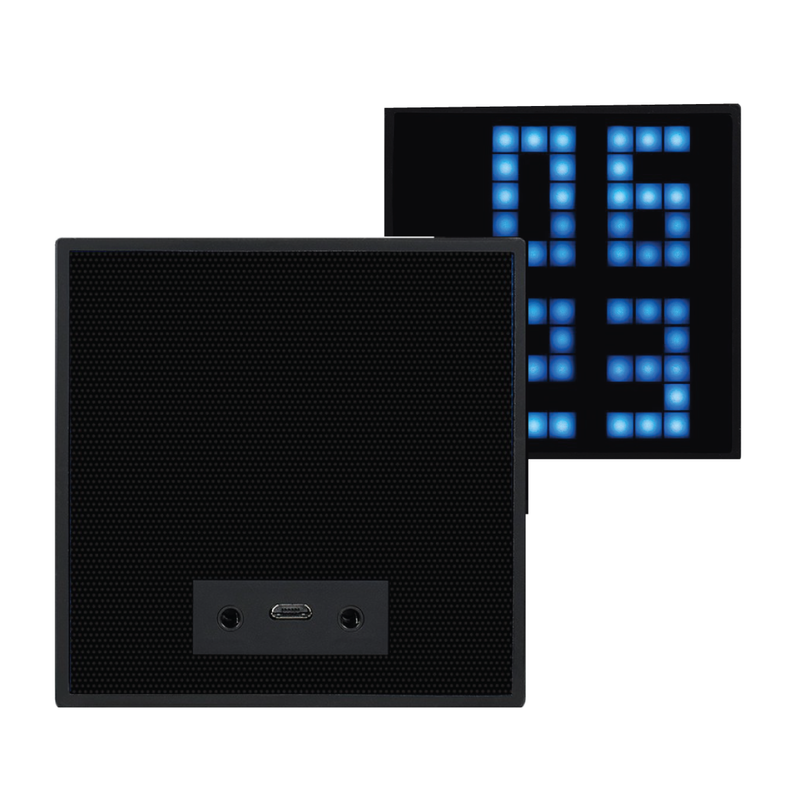 Built-in microphone, real time thermometer, and smart alarm clock. 6 hours of play with desktop notification system: icons pop up whenever you get a text, email, call, etc.